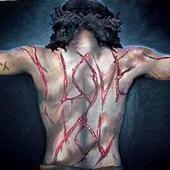 Eternal Redemption IN THE BLOOD OF THE LAMB.! So, what does the resurrection have to do with our salvation? The apostle Paul makes this clear in his first letter to the Corinthians: "But if there be no resurrection of the dead, then is Christ not risen:" 1 Cor. 15:13. In that same chapter he says "If Christ be not raised, your faith is vain; Ye are yet in your sins. ", 1 Cor. 15:14. The importance of the resurrection of Christ is further demonstrated in the frequency and enthusiasm with which it is preached as the early church grows (e.g., Acts 2:31; 4:33; 17:18; 26:23). Nearly every public witness to the Gospel points to the resurrection of Christ as the hope for all who desire salvation. The Scripture says, “For I delivered unto you first of all that which I also received, how that Christ died for our sins accordaning to the Scriptures; And that he was buried, and that he rose again the third day accordance to the Scriptures” 1 Corinthians 15:3-4. Most importantly, the Bible explains why Jesus’ death and resurrection provide the only entrance to heaven. The punishment for sin was death. God created earth and man perfect. But when Adam and Eve disobeyed God’s commands, He had to punish them. A judge who pardons law-breakers isn’t a righteous judge. Likewise, overlooking sin would make the holy God unjust. Death is God’s just consequence for sin. “For the wages of sin is death” (Romans 6:23). Even good works cannot make up for wrongs against the holy God. Compared to His goodness, “All our righteousnesses are as filthy rags” (Isaiah 64:6b). Ever since Adam’s sin, every human has been guilty of disobeying God’s righteous laws. “For all have sinned and fall short of the glory of God” (Romans 3:23). Sin is not just big things like murder or blasphemy, but also includes love of money, hatred of enemies, and deceit of tongue and pride. Because of sin, everyone has deserved death – eternal separation from God in hell. Although God banished Adam and Eve from the garden, He didn’t leave them without hope of heaven. He promised He would send a sinless Sacrifice to take the punishment they deserved (Genesis 3:15).. Herein lies the beauty of God’s perfect plan: God Himself provided the only sacrifice (Jesus) who could atone for the sins of His people. God’s perfect Son fulfilled God’s perfect requirement of God’s perfect law. It is perfectly brilliant in its simplicity. "for he (God) hath made him (Christ) to be sin for us, who (Jesus ) knew no sin; that we might be made the righteousness of God in him (Jesus)". 2 Corinthians 5:21. Jesus died on the cross, was buried to confirm His death, and then rose victoriously three days later. Jesus' death was just as important as His blood sacrifice, and equally important the burial and resurrection; BUT everything concerning the events of Jesus' life were leading up to the blood being applied in Heaven. Hebrews 9:24-26 state, "For Christ is not entered into the holy places made with hands, which are the figures of the true; but into heaven itself, now to appear in the presence of God for us..." That is, God the Father. Jesus took His shed blood to Heaven to present unto the Father, by applying it to the Mercy Seat. Jesus, the perfect Lamb of God was crucified on the cross not because of something He did, but because of His love for you and the desire for you to share eternity with Him. We have been saved: positionally from the penalty of sin (Eph 2:8, 9). This is often called justification salvation. We are being saved: from the power of sin, operationally, by the Holy Spirit, moment by moment (Rom 6). This is usually called sanctification. We shall be saved: from the presence of sin; after the resurrection, often called glorification, or “the redemption of our body” (Rom 8:23). ... have washed their robes and made them white in the blood of the Lamb." Revelation 7:14 eternal redemption eternal security eternal redemption eternal security eternal redemption eternal security Have you been to Jesus for the cleansing power? eternal redemption eternal security eternal redemption eternal security eternal redemption eternal security Are you washed in the blood of the Lamb? eternal redemption eternal security eternal redemption eternal security eternal redemption eternal security Are you fully trusting in His grace this hour? eternal redemption eternal security eternal redemption eternal security eternal redemption eternal security Are you washed in the blood of the Lamb? eternal redemption eternal security eternal redemption eternal security eternal redemption eternal security Are you washed in the blood? eternal redemption eternal security eternal redemption eternal security eternal redemption eternal security In the soul cleansing blood of the Lamb? eternal redemption eternal security eternal redemption eternal security eternal redemption eternal security Are your garments spotless? Are they white as snow? eternal redemption eternal security eternal redemption eternal security eternal redemption eternal security Are you washed in the blood of the Lamb? eternal redemption eternal security eternal redemption eternal security eternal redemption eternal security Are you walking daily by the Savior’s side?eternal redemption eternal security eternal redemption eternal security eternal redemption eternal security Are you washed in the blood of the Lamb?eternal redemption eternal security eternal redemption eternal security eternal redemption eternal security Do you rest each moment in the Crucified?eternal redemption eternal security eternal redemption eternal security eternal redemption eternal security Are you washed in the blood of the Lamb? He is free to save us. Christ’s death has rendered God free to save us in spite of moral imperfection. Our eternal security does not depend upon our moral worthiness. Christ is the propitiation for our sins (1 Jn 2:2). (To assume that there is some sin which is sufficiently serious to cause us to forfeit our salvation is to assume that we were less worthy of salvation after having committed this sin than before, and it reduces salvation down to human ability to merit it.) He has purposed to keep us saved: And this is the Father’s will which hath sent me, that of all which he hath given me I should lose nothing, but should raise it up again at the last day. John 6:39 And: And I give unto them eternal life; and they shall never perish, neither shall any man pluck them out of my hand. My Father, which gave them me, is greater than all; and no man is able to pluck them out of my Father’s hand. John 10:28-29 “Shall never” in John 10:28 is a double negative, a form which, in the Greek, is especially emphatic. And note that there are two hands involved: the Father’s and the Son’s! His intent is love based (Cf. Rom 5:6-10): God knew when He saved us that we were totally depraved, and therefore any new manifestation of sin in our lives after our conversion can-not be any motivation to God to change His mind and with-draw His grace and His salvation (Cf. Rom 11:29; Rom 8:32, 38-39). 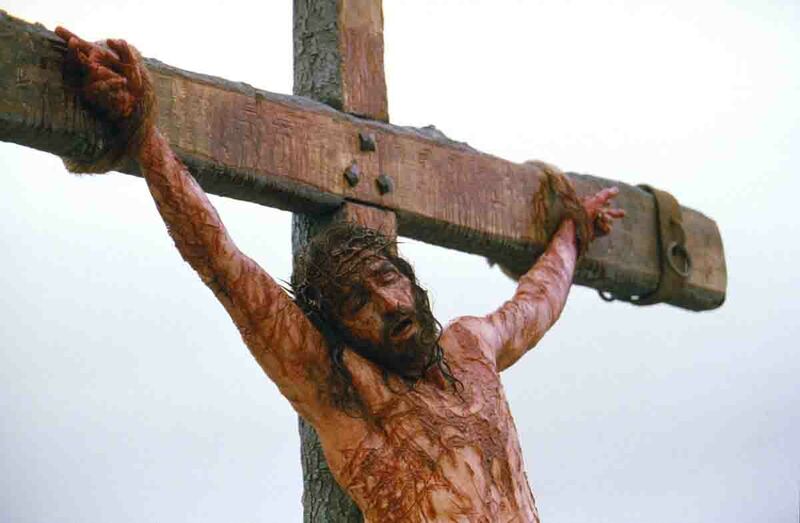 He saved us for reasons independent of us and outside of us. He was motivated by His electing love, and not by observation of good in the sinner. We, as believers, are called many things in Scripture: saints, believers, elect, sheep, partakers, etc. But the title most dear to the heart of Christ is repeated seven times in His high priestly prayer (Jn 17): “those whom thou hast given me.” (Cf. Jn 17:11-12). Jesus prays that we will be kept from hell (Jn 17:15) and will be with Him in heaven (Jn 17:20, 24). [This keeping is from perishing, not necessarily all forms of inheritance.] I believe that the Father always answers the prayers of the Son (Jn 11:42). If God has already justified the man who believes in Jesus, how can He lay anything to the charge of His justified one? His justification comes from the imputed righteousness of Christ and is legally ours! It is not a subject of merit, and its loss cannot be the subject of demerit. Like a father, God can and does correct His earthly sons, but they always remain sons (cf. the Prodigal Son, Lk 15:24). Who can condemn us if the penalty has already been paid? The greatest proof of eternal security is justification by faith. Justification refers to how God sees us, not how others—or even we ourselves—see us. It is entirely a forensic (legal) matter; Colossians 2:14 declares that our “Certificate of Debt” has been “paid in full”: Tetelestai! This redemption was eternal and once and for all. Much more then, being now justified by his blood, we shall be saved from wrath through him. Romans 5:9-10 For more examples, see Romans 5:19; 10:4; Colossians 2:10, et al. Jesus is both our legal advocate and our priestly intercessor. Wherefore he is able also to save them to the uttermost that come unto God by him, seeing he ever liveth to make intercession for them. Hebrews 7:25 “Saves to the uttermost” sounds pretty complete to me! Who hath also sealed us, and given the earnest of the Spirit in our hearts. 2 Corinthians 1:22 Sealing: To “set a seal” was a mark of protection (Cf. Mt 27:66, on the tomb of Christ) and ownership. When the Holy Spirit seals, it is with the signet ring of the Father on our hearts. He leaves the mark of ownership. A broken seal is an indication that the protection wasn’t adequate. Can you break the seal? Can Satan? The apostle lists seven things a believer might experience that some might think could come between a believer and Christ’s love (Paul experienced all of them). 3) Persecution: Used 10 times in the New Testament, always in reference to the gospel. 4) Famine: Used 12 times in the New Testament. The God of Elijah looks after His own. 5) Nakedness: See 1 Corinthians 4:11. 6) Peril [jeopardy, danger] : Used eight times in one verse (2 Corinthians 11:26; cf. 1 Corinthians 15:30). 7) Sword. The world hates the saints. and to the life changing, transforming power and source of our hope. depend on your good intentions. And at what point in your life could you walk up to Jesus, put your arm around Him and say, "I was just as good as you"?? Remember the requirement is absolute perfection, not that you were just a 'lot' better than that other guy, you were sure, who would not make it. They are born, again of incorruptible seed which yields the fruit of everlasting life (1 Peter 1:23). They stand before God clothed in the imputed (credited) righteousness of Christ, and not in their own (2 Corinthians 5:21; Romans 5:19-21). His sheep have been given eternal life-they shall never perish (John 10:28). Their eternal lives are forever hid with Christ in God (Colossians 3:1-3). They are already seated in the heavenlies in Christ (Ephesians 1:3; 2:6). The penalty for all their sin has been forever settled through the perfect and finished work of the Lord Jesus Christ (Romans 4:23-5:2; 5:6-9). Loss of reward at the Judgment Seat of Christ is certain for the careless Christians, but not loss of salvation (1 Corinthians 3:10-15). God faithfully chastens all of His children, even to the point of taking home those who refuse their Heavenly Father's correction (Hebrews 12:6-11; 1 Corinthians 5:1-5; 11:28-32). They have already been delivered from the wrath to come (1 Thessalonians 1:9,10; 5:8-10). They are sealed by the Holy Spirit until the day of redemption (Ephesians 4:30; Romans 8:23). The Lord knoweth them that are His; false professors will be revealed as such at the White Throne Judgment (2 Timothy 2:19; Revelation 20:11-15; Matthew 7:21-23). God is the one Who has begun the good work in the believer, and He has promised to perform it until the day of Jesus Christ; they are to "work out," not "work for" their salvation (Philippians 1:6; 2:12,13). They are already living stones in the spiritual building of God of which Christ Himself is the Chief Cornerstone (1 Peter 2:5; Ephesians 2:20-22). They are members of the Body of Christ, each with a peculiar function and without each one, the Body would not be complete (1 Corinthians 12:12-27). They are kept by the power of God, through faith, not through the efforts or the works of the one who is saved. (1 Peter 1 :5). Their incorruptible, everlasting inheritance is reserved for them by God (1 Peter 1 :1-4). They are God the Father's irrevocable gift to God the Son (John 17:6,7). He is able to save them to the uttermost because Christ "ever liveth to make intercession for them" (Hebrews 7:25). They are upon trusting Christ made "accepted in the Beloved" (Ephesians 1:6). Nothing can separate them from the love of Christ (Romans 8:38-39). By one offering He hath perfected forever them that are sanctified (Hebrews 10:10-14). They cannot be unborn (John 3:6-8). Christ dwelleth in them for ever (2 John 2). No man can pluck the Christian out of His Father's hand, and that necessarily includes the believer himself (John 10:29). All who are justified are finally glorified-none are lost along the way (Romans 8:28-30). In their flesh dwelleth no good thing; they are saved by grace (undeserved favor) and not by their own works (Ephesians 2:8, 9). The gifts and calling of God are without repentance; God will never annul His promise or cast out those who have come unto Him through Christ (Romans 11:29; John 6:37; 17:2). Whadabout that person you know who "got saved", but now you know what a terrible sinner they have since become, and horrible things you just know they intend to do. And what if they 'kill' someone or __bla __ bla __ (fill in blank )???
. When Jesus Christ went to the cross almost 2,000 years ago, He was the ULTIMATE sacrifice. A bloody sacrifice indeed. ·	His face beaten to a pulp. He was unrecognizable. The Bible says He was more marred than ANY man. ·	His side pierced with a spear after He died. I would be a little slow to call that "cheap"
God is the only one who can see a life from beginning to end. And if Jesus was willing to 'purchase' them too, i'm not going to complain.